The biological fixation of carbon dioxide is the approach in our second module. The CO2 fixation should be implemented in the heterotrophic model organism E. coli, changing this bacteria to an semi-autotrophic one. The fixation of carbon dioxide should take place in a microcompartiment called carboxysomes, which occures naturally in cyanobacteria or purple sulfurbacteria. The carboxysome enables a higher efficiency of the RuBisCO, as the CO2 concentration is rapidly increased, so that ineffective side reactions are minimized. We want to express all involved genes heterologous in E. coli and assemble a functional carboxysome. By using this compartiment and expressing the necessary coding sequences for RubisCO, PrkA and SBPase the Calvin cycle should be completed in E. coli. This would matter the implementation of an alternative metabolic pathway, utilisating carbon dioxide instead of carbo hydrates. The product of the carbon dioxide fixation catalyzed by the RuBisCO is 3-phosphoglycerate. This metabolite is converted to pyruvate, which can be used for the production of different industrially relevant metabolites. As a proof of concept we focus on the production of isobutanol. Here you will find the results of the CO2 fixation. Increasing amounts of carbon dioxide have evolved into a major problem of the century. Because of the industrialization former traditional handmade ware is nowadays produced by machines and facilities which produce huge amounts of carbon dioxide. By changing nearly every production site to industrial production the amount of emission has increased tremendous. 80% of the emission results in combustion of coal, oil and natural gas. Several goals were formulated to reduce the carbon dioxide emission when the documentation started (Sumida et al., 2012). An additional factor is industrial livestock farming which generates methane and carbon dioxide as site products. The typical balance between consumption and production of carbon dioxide is destabilized. The total forest area decreases and the emission increases year by year. Therefore many specialists work on a method to reduce the excess of carbon dioxide in the atmosphere. One reduction possibility could be the increased usage of photosynthesis-powered processes. Climate change is considered nowadays as one of the biggest challenges for decades to come (Fongwa et al., 2011). The annual global emission had increased by 80% between 1970 and 2004 (D'Allessandro et al., 2010). 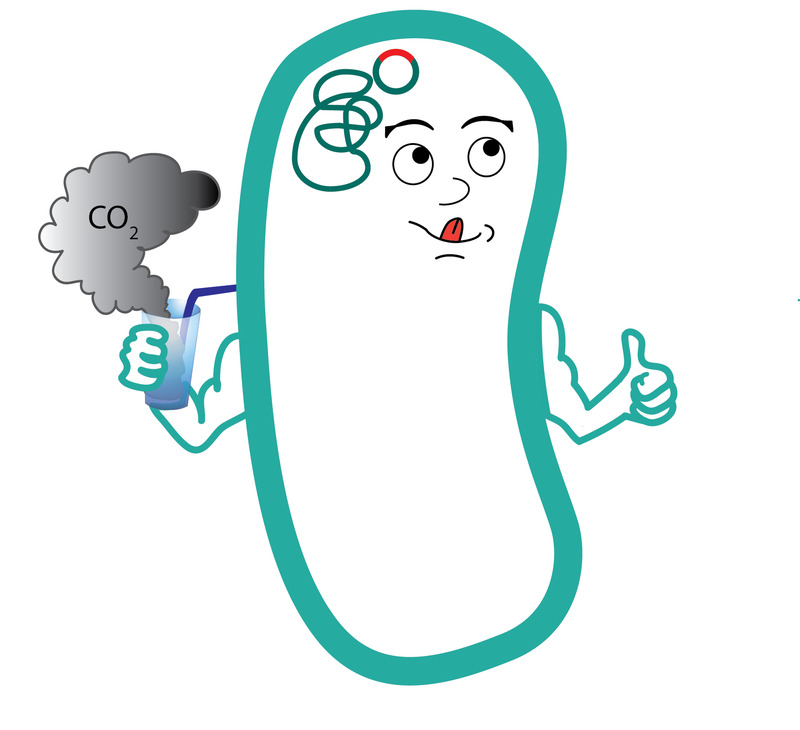 In additional approach to tackle this problem in our project is the usage of carbon dioxide as a carbon source for E. coli. The next step is the production of a desired product in this bacterium. It is not just our intention to bind carbon dioxide, but also to integrate the fixation process into useful products. There are a few pathways to bind carbon dioxide in bacteria which are suitable for our project. Sumida et al., 2012. Carbon Dioxide Capture in Metal Organic Frameworks American Chemical Society, Vol. 112, pp. 724–781. Fongwa et al., 2011. Review of Future Energy Supply and Targets for Climate Change: The Idea of Ecosystem Services. Implementing Environmental and Resource Management, pp. 119–132. D'Allessandro et al., 2010. Carbon Dioxide Capture: Prospects for New Materials. Angew. Chem. Int. Ed., Vol. 49, pp. 6058–6082.